The Celerio will be exported to Europe from Thailand. Suzuki says its Celerio minicar will replace its Alto and Splash models in Europe, marking the end of the automaker's cooperation with Opel in the minicar segment. The five-door Celerio will have a European debut at the Geneva auto show on March 4 after its global unveiling last week at the Delhi auto show in India. 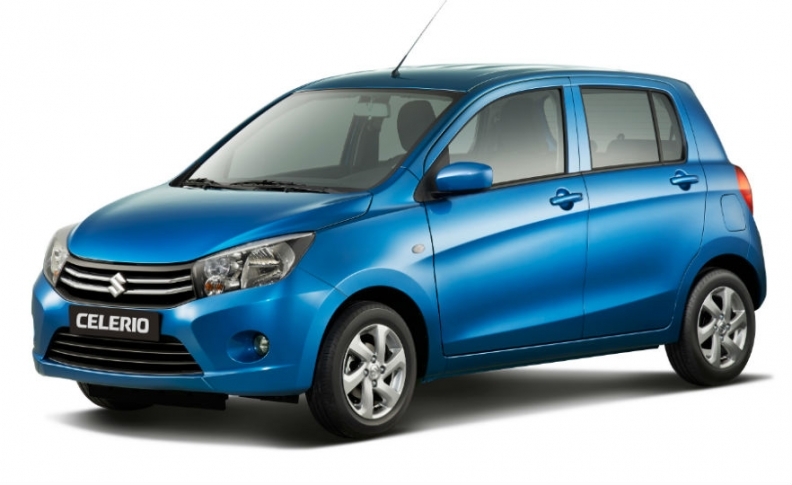 Suzuki says the Celerio will offer the space of the larger Splash with the price and economy of the smaller Alto. A Suzuki spokesman said the Celerio is bigger than the Alto and has a larger trunk. "The Alto's small trunk was a shortcoming noted by customers and we've addressed that with the Celerio," he told Automotive News Europe. Suzuki has not disclosed engines or pricing for the Celerio but said in a statement that the hatchback will offer low CO2 emissions. Suzuki is launching a product offensive to reverse its sliding sales volume in Europe. The automaker's EU and EFTA sales fell 2 percent to 152,345 last year, according to industry association ACEA. Other new models include the SX4 S-Cross compact crossover and a production version of the iV-4 subcompact concept unveiled at the 2013 Frankfurt auto show. Last year, Suzuki sold 26,872 Altos in Europe, up 22 percent on the year before, according to JATO Dynamics. Splash sales were down 10 percent to 15,573. Opel Agila sales fell 38 percent to 13,954. The automaker builds the Splash at its factory in Hungary alongside its Opel/Vauxhall sibling, the Agila. The Alto is built in India. The Celerio will be built for global markets including Europe in Thailand. Opel has not said if it will replace the Agila.